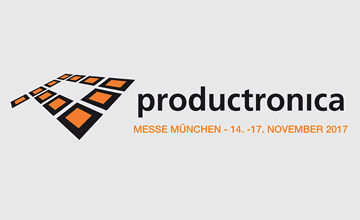 We will be present at Productronica 2017 from November 14th to 17th. The fair takes place every two years at Messe Munich in Munich, Germany. The event is spectacular and aims at attracting over 1,200 exhibitors and more than 38,000 visitors from different countries. Productronica is undoubtedly a trend in the panorama of exhibitions related to the electrical engineering and electronics industry. For any professional who carries out an activity in the electronics sector, this event represents an opportunity that cannot be missed, attracting participants from 39 countries.